Press Release: Superbike Racing is known as a foreign sport for the adrenaline junky, with speeds reaching up to 300kph on straights and corners with very sharp turns. In a more technical sense, it is a category of motorcycle racing wherein tuned versions of motorbikes available for sale to the public are used for competitive racing in the tracks. 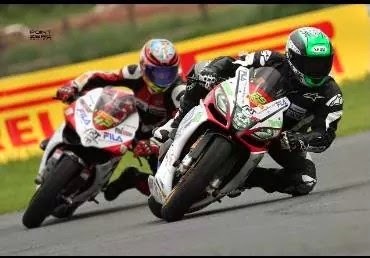 Not known to many of Filipinos, Philippines actually has a growing and thriving superbike racing community. Races have been hosted regularly in our top racing circuits in Batangas and Clark, Pampanga. Teams have also been formed representing the top motorbike manufacturers such as Aprilia and Ducati. 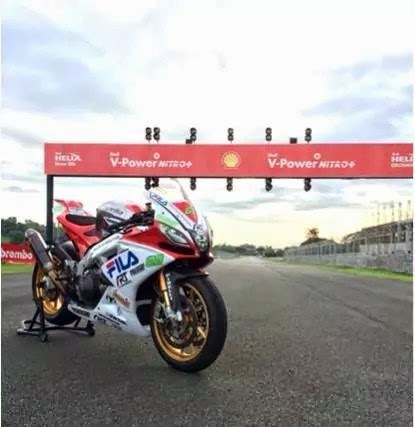 The Philippine Superbike Championship has produced the biggest grid of Superbikes in the Philippine Motor Racing history and will the series will end this weekend at Clark International Speedway October 4 and 5. One of the teams that have been gaining popularity in the superbike racing scene is the ATAT Racing Team. The ATAT Racing Team "ART" is an affiliate of Any Time All the Time (ATAT) Motorcycle Club. This motorcycle club is the only all-Italian Superbike Club in the Philippines. This highly exclusive, by-invite-only group is comprised of 24 CEOs, business owners, and top executives. The spirit of the group lies in their common passion for motorcycle riding on the road and on the track, and in their advocacy for motorsport safety. ART is composed of 14 active front racers with top of the line superbikes from Aprilia and Ducati. On October 5, 2014, witness 12 ART racers together with their sponsors, Brickfire, IPM Group of Companies, Fila, Technomarine, Assurant, Foilacar and Megaworld take the grid on Sunday and test their skill against other racers in their respective categories. To know more about ATAT Racing Team, you may add them in Facebook (www.facebook.com/ATATRacingTeam) or Instagram (ATATRACING), or join them in the next leg of the Philippine Superbike Races at Clark Speedway on October 4 and 5, and get a chance to win a Technomarine watch plus other premium items from Jills Restaurant and Sleepworth Handmade Sleep Essentials.